Pandas are cute but dark circles are not! 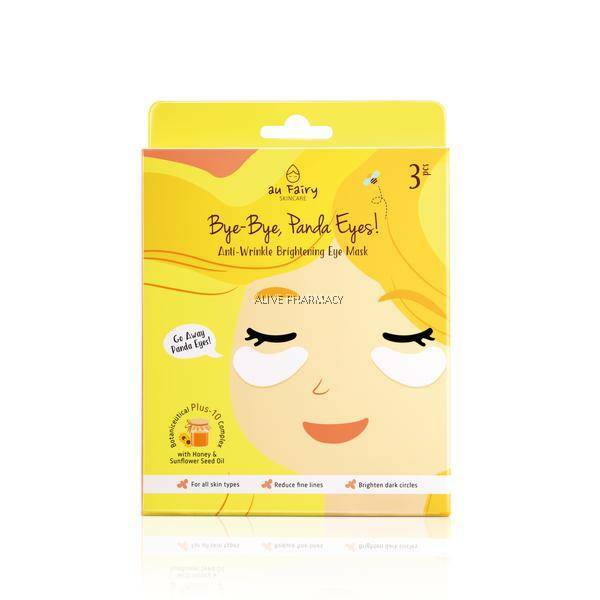 This eye mask is formulated to reduce the appearance of dark circles and wrinkles around the delicate eye area. The botanical solution formula including honey, sunflower seed oil and Botaniceutical Plus-10 complex improves skin hydration and provides antioxidant protection. You will love the brightening and firming effect of this eye mask that targets dark eye circles and wrinkles. Use after usual cleansing routine. Remove mask from packet and apply on face. Leave the mask on for 15 to 20 minutes, then remove and discard. Massage remaining essence into skin.